Commercial Irrigation & Turf knows how to keep lawns healthy and green. For more than 30 years, we have designed, constructed, installed and repaired irrigation systems that have distinguished us as an industry leader. Whether you need systems for residential or commercial properties, we can provide the best irrigation Champaign IL locals can find. You will prefer us over the rest because we work with you every step of the way. We use state-of-the-art technology to create plans and specifications customized for your lawn or garden. Contact us today! “Trench-Less” Technology – We install your system with minimal excavation. Fast Installation – Your irrigation system can be installed in a matter of days, in most cases, because we streamline the sprinkler installation process with our expert staff. Automated Controls – We make an independent control station, allowing you to pick start times, watering schedules and even rain shut-off capabilities. 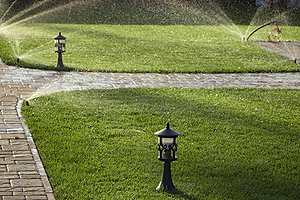 Full Warranty – You get peace of mind because our irrigation products feature full warranties. Commercial Irrigation & Turf offers a comprehensive package of services to help you or your client every step of the way. We offer consultation, design, specification, bidding, installation and service of all lawn and garden sprinkler systems. We are an IA Certified Irrigation Designer; this means your project is designed to be the most efficient and cost effective based on national irrigation standards and our more than 30 years of experience. If you have a mid to large commercial lawn sprinkler project and a question on how to satisfy your client, count on us for help with the best irrigation Champaign IL businesses can get to bridge the void for your clients. Since you want your lawn or garden to be lush and verdant, you want Commercial Irrigation & Turf. 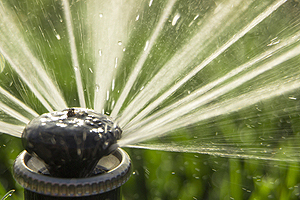 In order to get the best irrigation Champaign IL property owners can find, you should call us now at (217) 398-1494. Or use our online contact form to get in touch. Have a project outside of Champaign? No problem! We serve customers in Peoria, Bloomington, Springfield, Galesburg, Pekin and surrounding areas as well.